Bride To Be Centerpiece! Tell a Truth. Forget about all of those boring centerpieces that do not offer any entertainment. 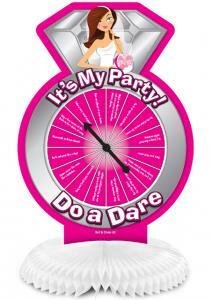 Our decorative centerpieces cleverly contains the ever-popular Truth or Dare party game. 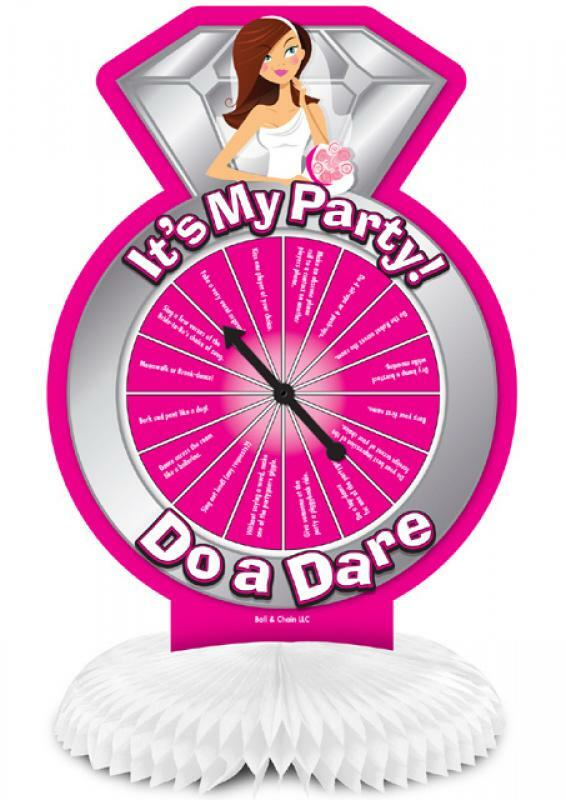 Complete with 32 unique activities, our double-sided centerpieces will not only set the theme but will also provide hysterics and outrageous entertainment making your next bridal shower, bachelorette party or hen party a night to remember! Contents: 1 double-sided centerpiece with 32 different activities and 2 plastic spinners. Party Centerpiece Ball and Chain Novelties.